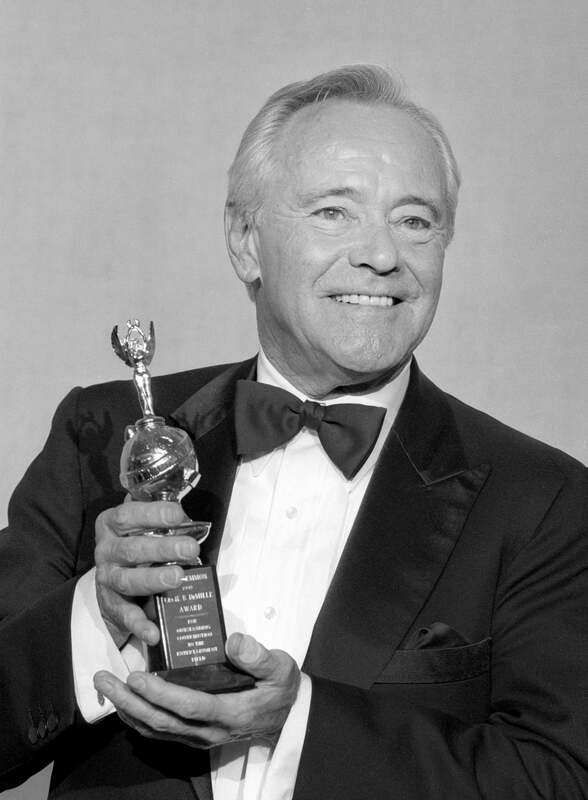 Jack Lemmon holding the Cecil B.deMille trophy, awarded by the Hollywood Foreign Press Association for Outstanding Contributions to the World of Entertainment, at the 48th Golden Globes, held at the Beverly Hilton Hotel on Saturday, January 19, 1991. He had won Golden Globes for Best Actor in a Motion Picture-Musical or Comedy in 1960 for Some Like It Hot, and in 1961 for The Apartment, both directed by Billy Wilder. 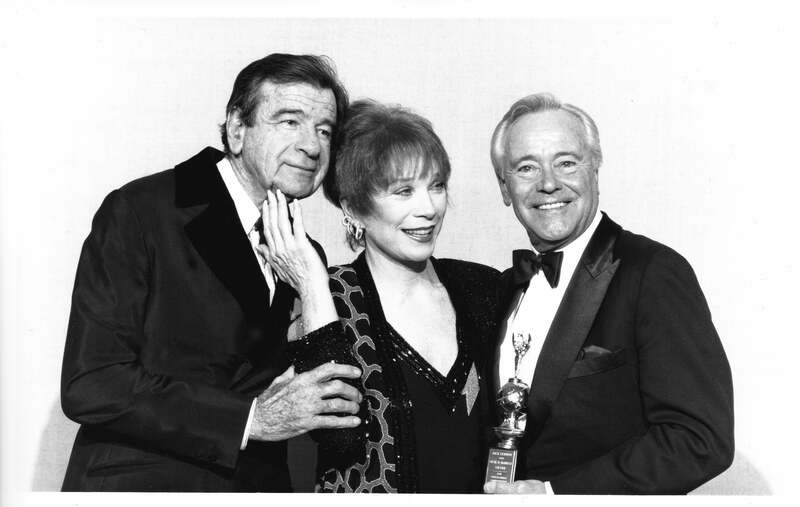 Backstage, Lemmon was joined by friends and frequent costars Walter Matthau and Shirley MacLaine.